Q 1: A rectangle is 8 feet long and 6 feet wide. If each dimension is increased by the same number of feet, the area of the new rectangle formed is 32 square feet more than the area of the original rectangle. By how many feet was each dimension increased? 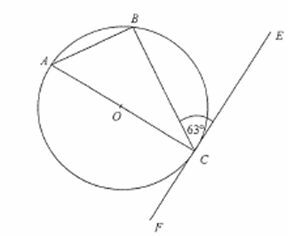 Q 2: Find angle ACB.